Business processes have changed. In the digital age they can no longer live in isolated systems, but must dynamically orchestrate people, context, applications, devices and information on a global scale. To help organizations to transform faster, by providing them with a digital business platform that is more intuitive, powerful and robust than any other solution on the market. What is your time to digital? Digital transformation is dictated by breakneck speed. It’s not a technology, it’s a race to reach a prized destination: agile, engaging and connected digital business. When operating in the real world of legacy systems and complex global operations, the digital world can seem unreachable. Change can’t happen fast enough, yet conventional roads to transformation result in lost time and unpredictable returns. Your time to digital may be the time to model and experiment. It may be the time to collaborate and connect. It may be the time to manage and deploy. We believe this can be accelerated by looking at transformation differently. Bizagi wraps around existing legacy systems to transform today’s organizations into digital businesses. Our digital business platform helps banks improve customer experience, hospitals empower patients and airlines fly more efficiently. For our customers, the time to digital is now. Bizagi is disrupting the ecosystem and succeeding against large tech Goliaths. Its innovations provide a lot of value to the enterprise and its global team has managed to execute with creativity. By leveraging the power of the internet and offering our software for free, we gave businesses a unique opportunity to change the way they ran their processes - without spending a cent. The gamble paid off. Our philosophy is simple. We build great products. We offer them for free. And we equip you with all the tools to help you shorten your learning curve. The figures speak for themselves. In 25 years, we've grown into a multinational business with some of the world's biggest brands on our books. Today, our software has had more than 3M downloads, creating a vibrant community of users that provide us with invaluable feedback that drives product development. Bizagi wins its first project – developing a Scala ERP system for Apple. Becomes one of the first Microsoft partners in Colombia. Awarded Microsoft Partner of the Year in Colombia. Bizagi seals its first international deal with German company Novodata. Launch of universitarius.com, an online social network for students. Voted Microsoft's Partner of the Year in Colombia for second time. Bizagi opens its UK HQ in Amersham, Bucks. 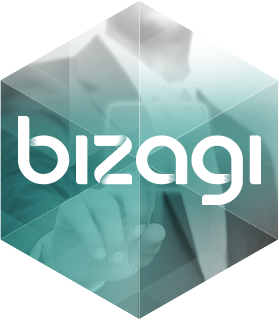 Bizagi Modeler is released, disrupting the enterprise market by offering risk-free software. Gartner names Bizagi in its Magic Quadrant for BPM Suites. Customer numbers hit 130 across 30 countries. Positioned as a Strong Performer in the Forrester Wave. Welcomes Old Mutual, GE Capital and BAE on board. Customers Adidas and Colpensiones win gold at the WfMC BPM Awards. Red Herring recognizes Bizagi among the Top 100 most disruptive and innovative software businesses in Europe. Customers AgFirst and Generali win gold at the WfMC BPM Awards. PwC’s Accelerator “Local to Global” Expo Jury names Bizagi a Tech Champion of Tomorrow. Downloads of Bizagi Modeler hit 3 million. Launch of Bizagi 11 - The Digital Business Platform. Forrester recognizes Bizagi as strong performer in Low-Code Rapid Application Development. Gartner recognizes Bizagi as the only challenger in Magic Quadrant for iBPMS. Red Herring recognizes Bizagi among the top 100 most disruptive and innovative companies globally. Bizagi & Mentis Neuro Health win ‘Best Achievement in Digital Transformation’ at BTOES. Launch of Bizagi 11.1 – Introducing Artificial Intelligence.